A fascinating exhibition on display at the Chamber of the Scrutinio in the Doge’s Palace in Venice traces the history of diplomatic relations between the Republic of Venice and the Safavid Persia under the rule of Shah Abbas the Great (1587–1629). The show specifically highlights the gifts exchanged between the two powers from 1600 until the end of the Shah’s reign. The exhibition was inspired by Gabriele Caliari’s majestic painting depicting the Doge Marino Grimani receiving the Persian ambassadors (above), which is on display in the Four Doors Room. 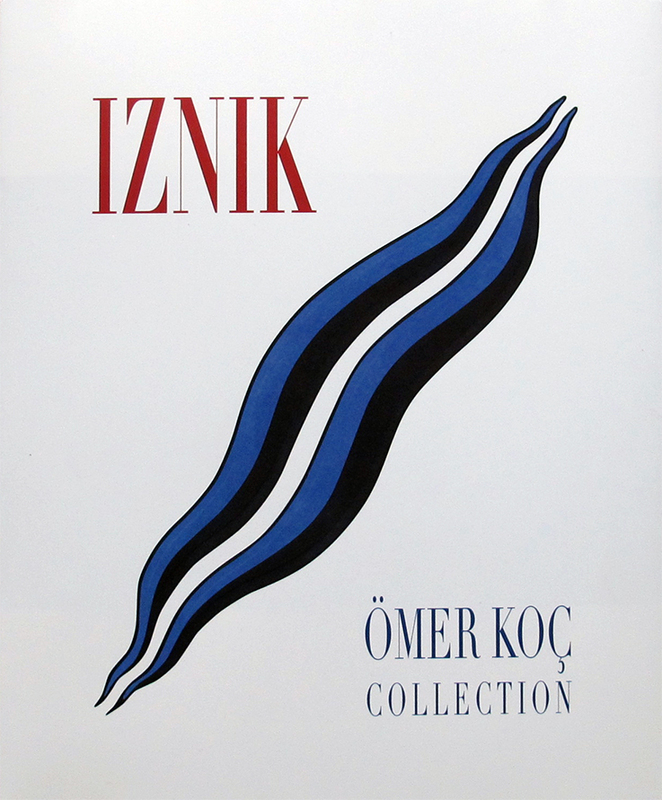 The painting illustrates the friendly and lucrative relationship between the two powers, united by their common objective of fighting the expansion of the Ottoman Empire. Curated by Elisa Gagliardi Mangilli and Camillo Tonini, the exhibition displays 30 pieces, including gifts sent by the Shah to the Venetian Republic, as well as letters of presentation, documents, engravings, maps, coins and other objects. 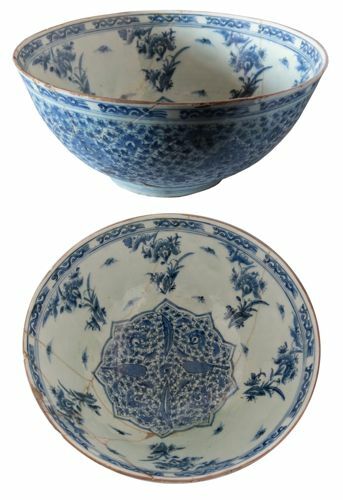 The above image shows a sumptuous 17th-century ceramic cup from Persia (fritware, 18cm x 42cm, on loan from from the Correr Museum Library). 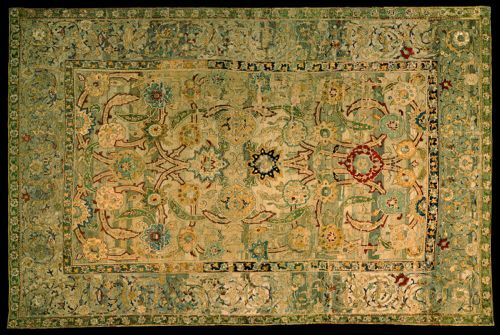 An important example of the lavishness of the Shah's gifts is the above silk carpet (on loan from the San Marco Museum). 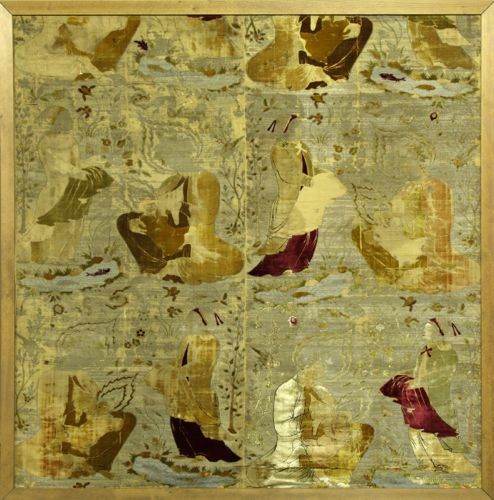 Measuring 258cm x 181cm, it is woven in gold brocade and features detailed floral motifs. Another example is the above piece, made from velvet and silk brocade woven with gold (on loan from the Palazzo Mocenigo). Measuring 136cm x 136cm, it depicts the Virgin and Child and is almost certainly the work of specialised Armenian craftsmen working in New Julfa in Isfahan. Both these textiles were presented to the Doge Grimani by the Persian envoy on March 5, 1603, in the Sala del Collegio, right next to the Scrutinio Chamber. The exhibition also features several engravings depicting the protagonists of the time, portrayed in great detail by European artists. These give us a glimpse of the customs of the Safavid court and allow us to appreciate details such as the quality of the fabrics used for clothing and jewellery fashionable at the time. 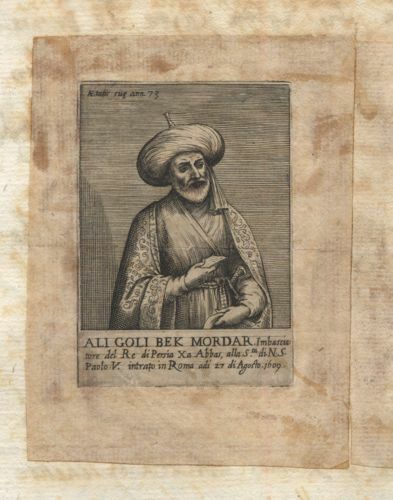 The above image shows an engraving of Ali Goli Bek Mordar from the book Three models of Venetia, by Gioan Carlo Sivos (1595–1615), on loan from the Correr Museum Library collection. There is also a section dedicated to the cartography of Persia, displaying maps and portolans used by travellers. The quality of these maps reveals the well-developed technical skills of the cartographers in the late-16th and early-17th centuries. Of particular note is Abraham Ortelius’s Theatrum orbis terrarium, the first ‘modern’ atlas to come in a pocket format. Published by Philip Gale in 1593, it measures just 7.5cm x 10.6cm and is on loan from the Correr Museum Library. 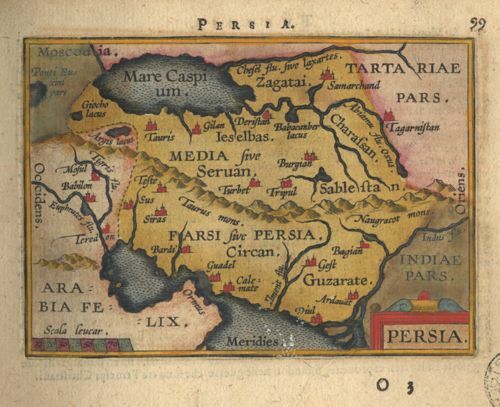 The above image shows a page from the atlas, illustrating Persia. Also on display are 17th-century documents, including outstanding original firmans signed by the Shah (now kept in the Venice State Archive), as well as examples of detailed requests from the Persians for certain Venetian objects. For both political and economic reasons, Venice played an active role in diffusing the West’s image of Persia, characterised by an aura of nobility and prestige. Travellers of that period included Pietro della Valle, who declared that the Persian army was made up of knights and gentlemen rather than dangerous, merciless warriors. 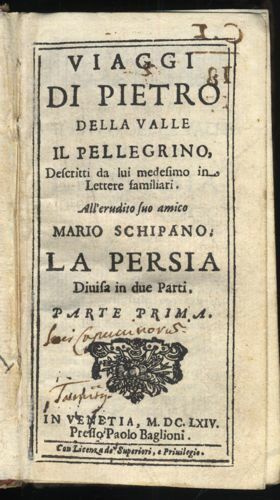 The above image shows a page from della Valle’s Travels of Pietro della Valle, from his letters to Paolo Baglioni, 1664, printed publication, on loan from the Correr Museum Library. Another area explored in the exhibition is the Shah’s numerous victories in battle, which earned him the title of ‘the Great’. His refined taste extended to his weaponry, and of particular interest is the above shield – part of the armour used to protect the lower arm. Unfortunately, the only remaining testimony to the jewels and turquoise stones that originally decorated the shield is a watercolour painting by the Italian artist Giovanni Grevembroch. Above is the shield as it looks today. 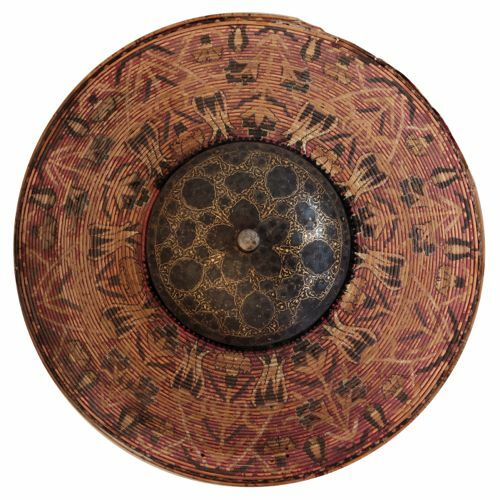 Made from Indian cane, silk, etched metal and gold (20cm x 62cm), it dates from the 16th century (on loan from the Palazzo Ducale). 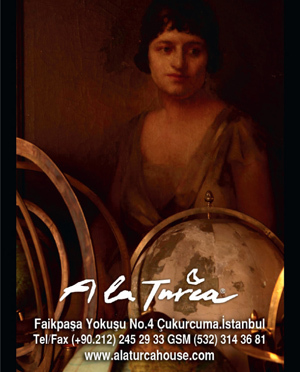 The exhibition is on display until April 27, 2014. Main image shows Gabriele Caliari’ s ‘The Doge Marino Grimani receiving gifts from the Persian ambassadors in 1603’, oil on canvas, 367cm x 527cm, displayed in the Four Doors Room.